“We/Us/Our” means Rebecca Page Ltd , a company registered in England under 11265967, whose registered address is 2/28 North Audley Street, London, United Kingdom, W1K 6WX. Our Site, www.rebecca-page.com, is owned and operated by Rebecca Page Ltd , a limited company registered in England under 11265967, whose registered address is 2/28 North Audley Street, London, United Kingdom, W1K 6WX. Certain parts of Our Site (including the ability to purchase Paid Content from Us) may require an Account in order to access them. We recommend that you choose a strong password for your Account, consisting of a combination of lowercase and uppercase letters, numbers and symbols. It is your responsibility to keep your password safe. You must not share your Account with anyone else. If you believe your Account is being used without your permission, please contact Us immediately at info@rebecca-page.com. We will not be liable for any unauthorised use of your Account. If you wish to close your Account, you may do so at any time. Closing your Account will result in the removal of your information. Closing your Account will also remove access to any areas of Our Site requiring an Account for access. You will not be able to access your downloads after closing your account. Subject to the below, you may not reproduce, copy, distribute, sell, rent, sub-licence, store, or in any other manner re-use Content from Our Site unless given express written permission to do so by Us. User Content on Our Site includes (but is not necessarily limited to) product reviews, comments and photos. You agree that you will be liable to Us and will, to the fullest extent permissible by law, indemnify Us for any breach of the warranties given by you under Clause 6. You will be responsible for any loss or damage suffered by Us as a result of such breach. If you wish to remove User Content from Our Site, the User Content in question will be anonymised. Please note, however, that caching or references to your User Content may not be made immediately unavailable (or may not be made unavailable at all where they are outside of Our reasonable control). Framing or embedding of Our Site on other websites is not permitted without Our express written permission. Please contact Us at info@rebecca-page.com for further information. You may not link to Our Site from any other site the main content of which contains material that: is sexually explicit; is obscene, deliberately offensive, hateful or otherwise inflammatory; promotes violence; promotes or assists in any form of unlawful activity; discriminates against, or is in any way defamatory of, any person, group or class of persons, race, gender, religion, nationality, disability, sexual orientation, or age; is intended or is otherwise likely to threaten, harass, annoy, alarm, inconvenience, upset, or embarrass another person; is calculated or is otherwise likely to deceive another person; is intended or is otherwise likely to infringe (or to threaten to infringe) another person’s privacy; misleadingly impersonates any person or otherwise misrepresents the identity or affiliation of a particular person in a way that is calculated to deceive (obvious parodies are not included in this definition provided that they do not fall within any of the other provisions of this Clause 7); implies any form of affiliation with Us where none exists; infringes, or assists in the infringement of, the intellectual property rights (including, but not limited to, copyright, trade marks and database rights) of any other party; or is made in breach of any legal duty owed to a third party including, but not limited to, contractual duties and duties of confidence. The content restrictions in Clause 7 do not apply to content submitted to sites by other users provided that the primary purpose of the site accords with the provisions of Clause 7. You are not, for example, prohibited from posting links on general-purpose social networking sites merely because another user may post such content. You are, however, prohibited from posting links on websites which focus on or encourage the submission of such content from users. Limitations and exclusions stated to apply to Content in this Clause 10 may not apply to Paid Content. To the fullest extent permissible by law, We accept no liability to any User for any loss or damage, whether foreseeable or otherwise, in contract, tort (including negligence), for breach of statutory duty, or otherwise, arising out of or in connection with the use of (or inability to use) Our Site or the use of or reliance upon any Content (including User Content, but not including Paid Content) included on Our Site. To the fullest extent permissible by law, We exclude all representations, warranties, and guarantees (whether express or implied) that may apply to Our Site or any Content (excluding Paid Content) included on Our Site. We exercise all reasonable skill and care to ensure that Our Site is free from viruses and other malware. However, subject to Clause 9, We accept no liability for any loss or damage resulting from a virus or other malware, a distributed denial of service attack, or other harmful material or event that may adversely affect your hardware, software, data or other material that occurs as a result of your use of Our Site (including the downloading of any Content from it) or any other site referred to on Our Site. By breaching the provisions of Clause 11, you may be committing a criminal offence under the Computer Misuse Act 1990. Any and all such breaches will be reported to the relevant law enforcement authorities and We will cooperate fully with those authorities by disclosing your identity to them. Your right to use Our Site will cease immediately in the event of such a breach. 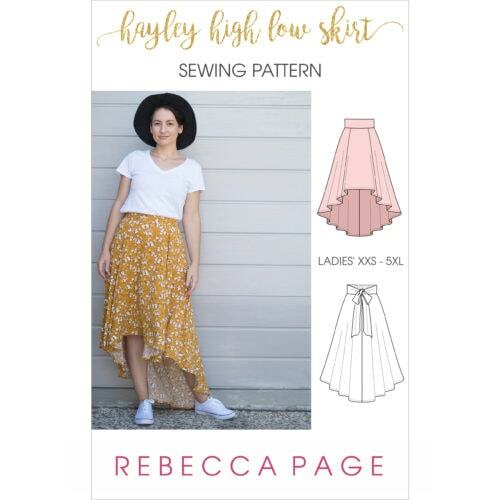 To contact Us, please email Us at info@rebecca-page.com or using any of the methods provided on Our contact page at https://rebecca-page.com/contact/. For questions or complaints about communications from Us (including, but not limited to marketing emails), please contact Us at info@rebecca-page.com or via https://rebecca-page.com/contact/. If you are a consumer, you will benefit from any mandatory provisions of the law in your country of residence. Nothing in Clause 18 above takes away or reduces your rights as a consumer to rely on those provisions.